For more information, read the January O&P Almanac article on HCPCS code and descriptor changes for 2014. This AOPA Executive Director Letter discusses the new codes, as well as the threat of competitive bidding for off-the-shelf orthotics, as does this letter from AOPA to Laurence Wilson, director of the CMS Chronic Care Policy Group. Review patient assessment product selection and fitting for: MultiMotion, joint system for contracture mgt: KiddieGAIT and KiddieROCKER, dynamic response for AFOs for ankle/foot instability; and SWASH, the Sitting-Walking-And-Standing-Hip orthosis. This course qualifies for an Allard SWASH Certificate. See you at AAOP in Chicago, Workshop #19. 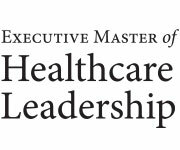 To lead in today's rapidly changing healthcare landscape you need more than an MBA. Brown's 16-month master's degree arms students with a sophisticated understanding of the policy, regulatory, digital, cultural, and global forces rocking this sector. Learn more. Viva Las Vegas! AOPA's Coding & Billing Seminar goes to Vegas in April -- don't miss it! Review the latest update on the O&P Alliance's challenge to physician-owned distributors -- get the scoop on this long-running issue! All coding products are available in the AOPA bookstore. Keep up with the changes and don't be left out in the cold -- visit the bookstore today! Will you be at the AAOP meeting this week in Chicago? Be sure to visit the AOPA booth and win big! All of this and more in today's AOPA Breaking News. None who have always been free can understand the terrible fascinating power of the hope of freedom to those who are not free."